Whatever the budget, visitors are able to find suitable accommodation anywhere in Kuantan and the surrounding beaches, from luxurious 5-star hotels and resorts to comfortable 'A' huts. Swiss Garden Resort & Spa Hotel Kuantan is an international standard resort situated on Balok Beach, in the famous east coast town of Kuantan. 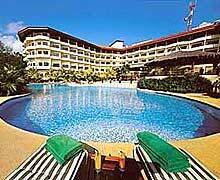 Swiss-Garden Resort & Spa Kuantan blends luxurious accommodation with impeccable personalized service. An idyllic retreat for the weary urbanite, the hotel offers a wealth of facilities, ideal for both business and pleasure. 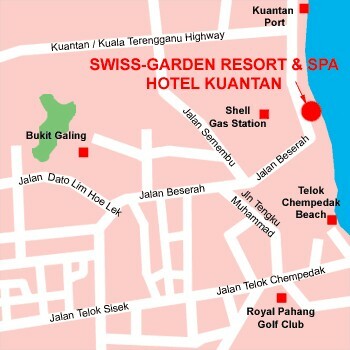 Swiss-Garden Resort & Spa Hotel Kuantan is accessible by air through regular scheduled direct flights from Kuala Lumpur International Airport, landing at Sultan Ahmad Shah Airport, Kuantan. 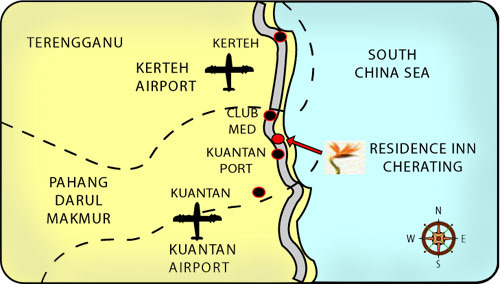 The flight takes 40 minutes and followed by 20 minutes from Kuantan Airport to the resort. 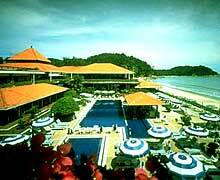 The resort is also accessible by road from Kuala Lumpur to Kuantan via the Karak highway. It takes approximately 4 hours drive. A drive to Swiss-Garden Resort & Spa Kuantan takes 10 minutes from Kuantan Town and Gebeng Industrial Estate, the largest industrial estate in Pahang. Hotel Grand Continental Kuantan links both east and west coast of Malaysia boasting of its central location within easy access to public transportation, shopping centers, medical centers, government offices and famous local restaurants. A panoramic view of the South China Sea can viewed from the hotel's upper floors. This hotel is also adjoined to a block of Service Apartment units, offering cosy and comfortable accommodation for long term guests as well as expatriates. 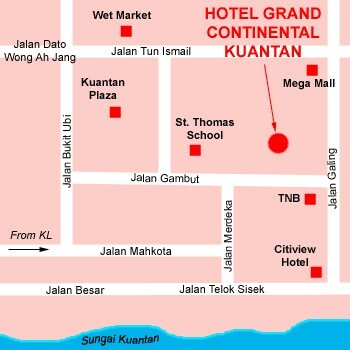 Hotel Grand Continental Kuantan is located in the heart of Kuantan amongst State and Federal Government Agencies, Banks, Shopping Centers and Central Wet Market. It is approximately 15 minutes drive to the famous Teluk Chempedak Beach and half an hour drive to Cherating Beach. 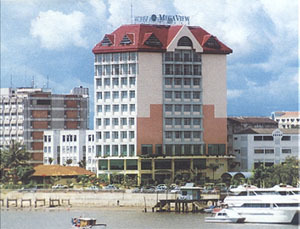 The hotel serves as an anchor point and gateway to tourism and business in the East and West coasts of Malaysia. Designed in the architectural style of the traditional kampong (Malaysian village), Hotel Hyatt Regency Kuantan Pahang provides first-class accommodation within an idyllic and relaxing setting. 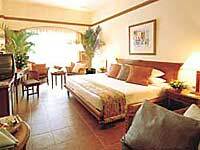 The hotel's 336 fully air-conditioned guest rooms and suites all have private balconies with garden or sea views. Designed for privacy, Hyatt's Regency Club� rooms offer exclusive amenities and facilities for the more discerning hotel guest. Hotel Hyatt Regency Kuantan Pahang is set on the beachfront of Telok Chempedak, with panoramic views of the South China Sea, just three miles north of Kuantan on the east coast of Peninsula Malaysia. 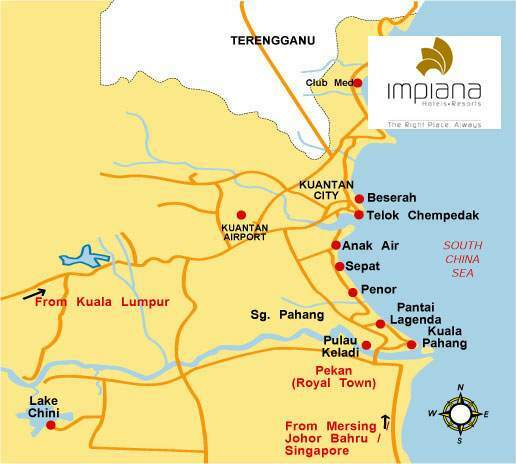 The hotel is easily accessible, with direct flights from Kuala Lumpur to Kuantan. 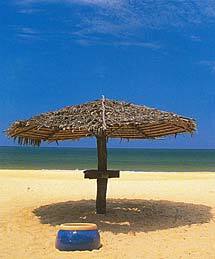 Cherating, the mystique and charm of the east coast provides you with unspoilt natural splendours. Here at Cherating lies Holiday Villa Cherating Resort, a first class resort, offering three accommodation lifestyles. At Holiday Villa Cherating Resort, you may put up in the modern hotel, retreat into the 'kampung' for a first hand experience of Malay culture, or simply relive the glamour of Malay royalty in the 'istana', a replica of the palaces in the state of Negeri Sembilan. All these at an affordable prices. Holiday Villa Cherating, a hotel beach resort, is situated along one of Malaysia's finest east coast beaches covering a land area of 10 acres. The Eastern Pavilion offers intimate escapades at 12 exclusive Malaysian styled villas, each with living room, one or two bedrooms and a verandah which extend out to a private pool and Jacuzzi. Fronting the beautiful east coast beach at Peninsula Malaysia, the Eastern Pavilion is yet another idyllic lifestyle presented by Holiday Villa Cherating. Eastern Pavilion Cherating is located beside Holiday Villa Cherating on the East Coast of Peninsular Malaysia in the state of Pahang, just 3 hours by road from Kuala Lumpur or 40 minutes from Kuantan airport. By air, its just 35 minutes from Kuala Lumpur or 45 minutes from Singapore. M.S. 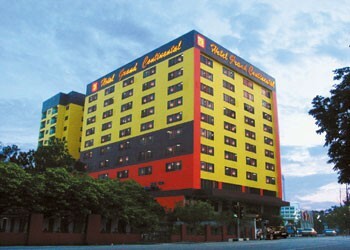 Garden Hotel in Kuantan, conveniently situated in the heart of the State capital. The Hotel comprises 202 well furnished and elegantly decorated deluxe rooms with separate showers in bathrooms and spacious balcony. Conveniently located in the heart of Kuantan. Just 15 minutes drive from Sultan Haji Ahmad Shah Airport and only 5 minutes drive from the Terminal Makmur (bus & taxi station). The first and only city hotel which combine comfort, business and pleasure. You can enjoy the river recreational activities such as fishing, river cruise and other water sports activities as our hotel is located on the bank of the beautiful Kuantan River and surrounded by tropical greenery. Within walking distance to banks, government offices, shopping, recreation and entertainment outlets. 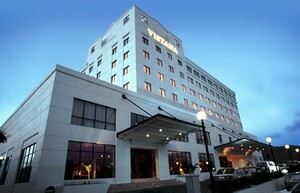 Vistana Hotel, Kuantan was designed to be a moderately- priced business hotel catering to Malaysian and regional business travelers. The key to its product difference is that it features the discipline of product performance associated with international standard hotels which often charge much higher prices. Its consistent and immaculate standards and operating practices has led to its rise as a major player in Kuantan's hospitality industry today. Located within the hub of Kuantan, The Vistana offers business travelers easy access to major shopping centre such as the Mega Mall, and key roads leading to the famous Teluk Chempedak beach and manufacturing and industrial area in Gebeng as well as Kuantan port. 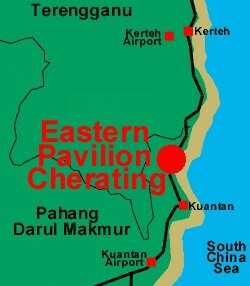 Just North of Kuantan, is a beach called Cherating. Here the waves of the South China Sea break onto one of the most beautiful beaches in Malaysia. It is here that you will find The Legend Resort, Cherating. The international first class hotel from the chain of Legend Hotels. 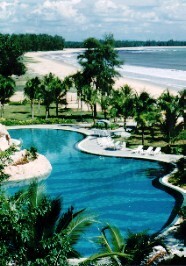 From Kuala Lumpur or Singapore, The Legend Resort, Cherating is less than an hour's flight away. Or take the scenic route, five hours by car. Airport transfers and in-house cars can easily be arranged. The next time you are in Kuala Lumpur, stay at The Legend Hotel. You'll enjoy the same warm hospitality and luxurious comforts that have made The Legend Group of Hotels & Resorts famous. 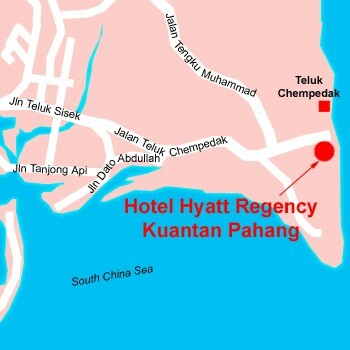 Seri Malaysia Kuantan offers a fantastic deal for travelers heading towards Teluk Cempedak beach. The 2-storey hotel building located along Jalan Telok Sisek, Kuantan is an ideal hideaway for those keen on enjoying the pristine beaches of Kuantan at an affordable cost. 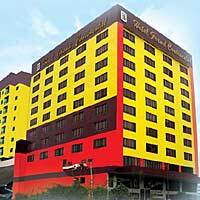 Equipped with 100 rooms, Seri Malaysia Kuantan is situated a mere 20km from the airport and 300km from Kuala Lumpur. Visitor can enjoy both local and western cuisine at the scenic Cafe Seri Banir Coffee House which operates from 7am - 11pm. The hotel also has multi-function rooms ideal for conferences, meetings and seminars. Pamper yourself at an international class beachfront paradise that offers you heart-winning holidays and the latest in business facilities. The ideal seaside getaway whether you wish to mix business with pleasure or just unwind with your family and friends. 8KM Jalan Beserah, 26100 Kuantan. Pahang Malaysia. 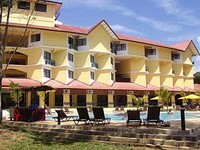 Duta Sands Beach Resort is located at the quite fringe of the beautiful East Coast of Malaysia. Aptly themed, 'Beach Caravan Experience' this unique resort offers adventurous caravan-living on the beach and accommodation alternatives of rustic Chalets or Standard Hotel units. You will immediately feel at ease as you step into this very homely and cozy yet exciting ambience this resort exudes. Stroll along visit the mini rabbit farm too. 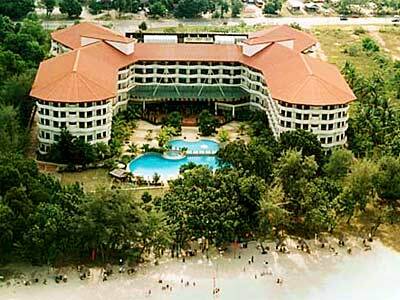 Duta Sands Beach Resort is located at the quiet fringe of the East Coast. With either rustic chalets or fully-equiped caravans to choose from, this resort offers you a surprising feeling of privacy. Shahzan Inn Kuantan is located in the town of Kuantan which puts you right in the centre of activities where you can observe Malaysians at their natural friendliness. 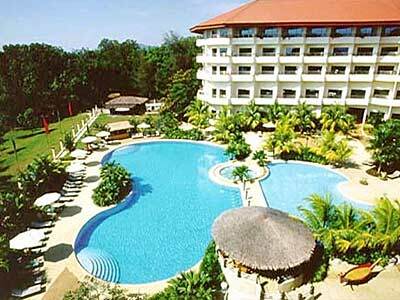 Residence Inn Cherating, the Magical Paradise for both sun & sea lovers. An ideal paradise for those seeking to escape from the anxieties of city life and enjoy soothing atmosphere of rest & relaxation. There is heaven on our earth.... and Suria Cherating Beach Resort is an excellent choice of place, strategically position in one of the longest sandy beach in Malaysia. The Cherating Beach, popularly known among the locals for the fabulous gateway and steadily gaining its popularity as one of the heavenly beach destination in the midst of international tourists. There are 114 elegantly decorated guest rooms with all the facilities in place for the convenience of our honourable guests to take pleasure in and to unwind. The environmental friendly atmosphere will certainly compliment your expectation for the enchanting panoramic view that nature has created for you to experience and to get the pleasure from. 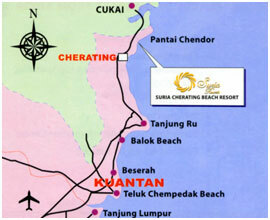 Suria Cherating Beach Resort undoubtedly will be the choice for the experience of excellent, warm and friendly service. Before you... is an architecture meticulously designed to resemble the finest in traditional Malay culture. Situated in the remote part of one of East Coast's finest golden sandy beaches and home to the most exotic sea turtles... every room you stay allows you to be closer to nature and wake up to the peaceful sound of the ocean. A unique blend of casual beachside lifestyle and tradisional luxury.